Comments - The graphics were detailed by the standards of the day, with cities, bridges, roads, islands, mountains and moving vehicles. The innovations seen in F-29 Retaliator matured in later DID sims. 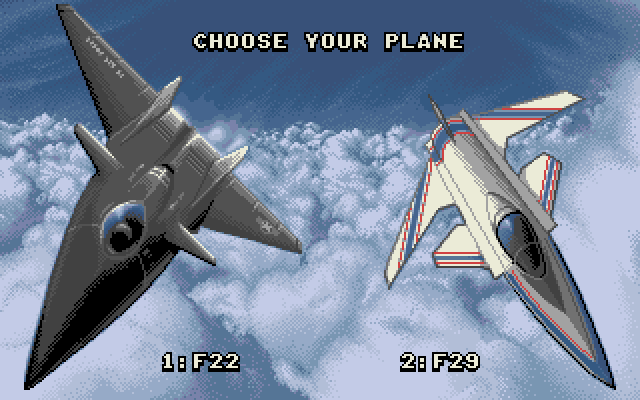 F-29 Retaliator was released in 1991 and ran very fast, even on a 386 25Mhz which was a typical machine of the day. I remember trying again and again to strafe a train whilst travelling at about mach 1.2.... it never occured to me to slow down! The graphics were detailed by the standards of the day, with cities, bridges, roads, islands, mountains and moving vehicles.